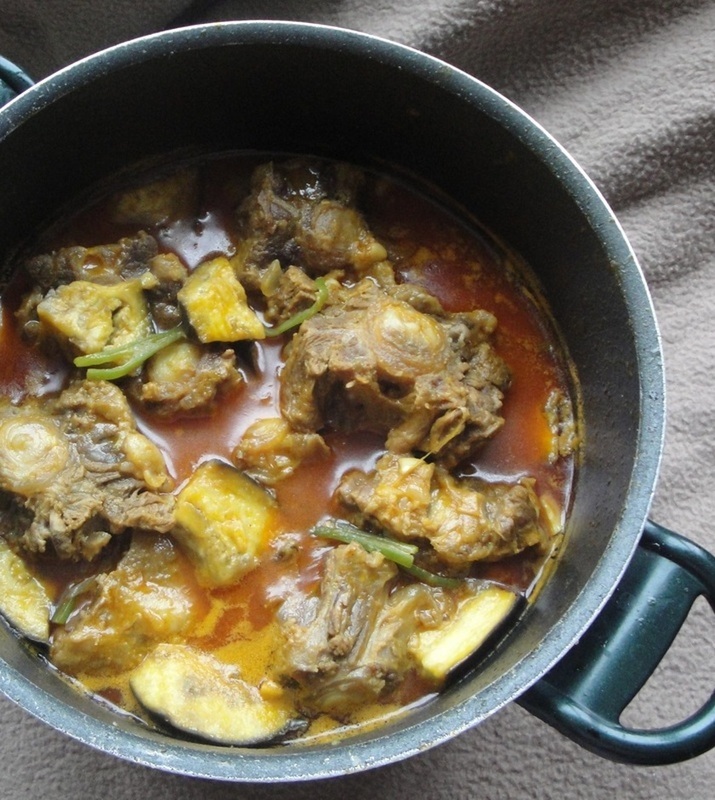 Oxtail​s are from the tail of cattle; used in many parts of the world in soups and stews. Highly regarded for their meaty succulent flavour. In my previous post I mentioned not wanting to cook soups or stews in the hot weather. Though true, I will be cooking a few soups and stews throughout the summer months. 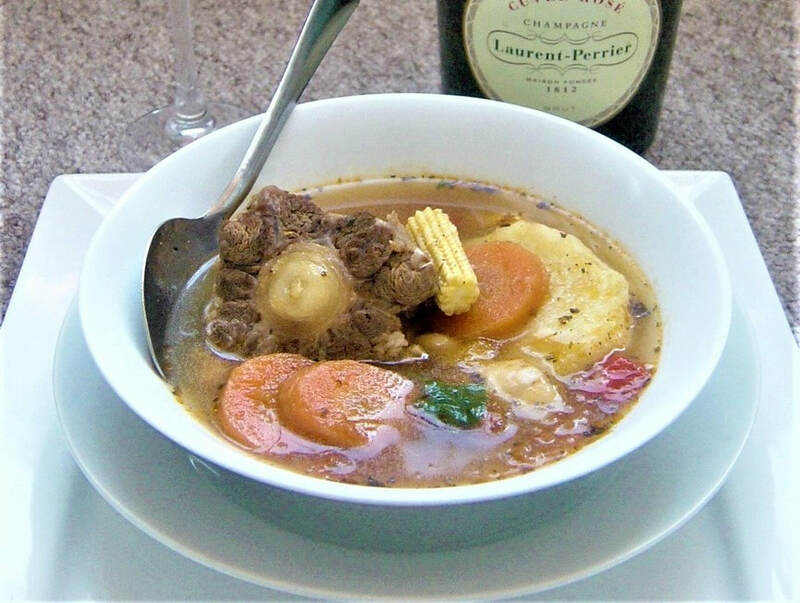 This soup is really tasty and hearty. 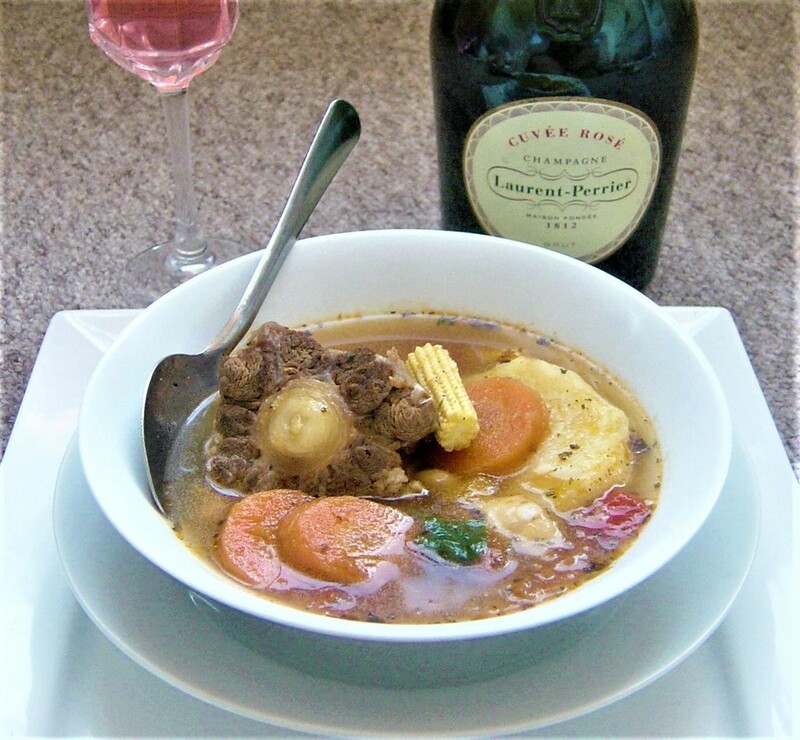 And this Oxtail soup is surprisingly easy to make. It takes a little time but it has everyday ingredients, and once prepped you pretty much just leave it to bubble away. The soup is packed with a lot of goodness, vegetables,herbs and spices. 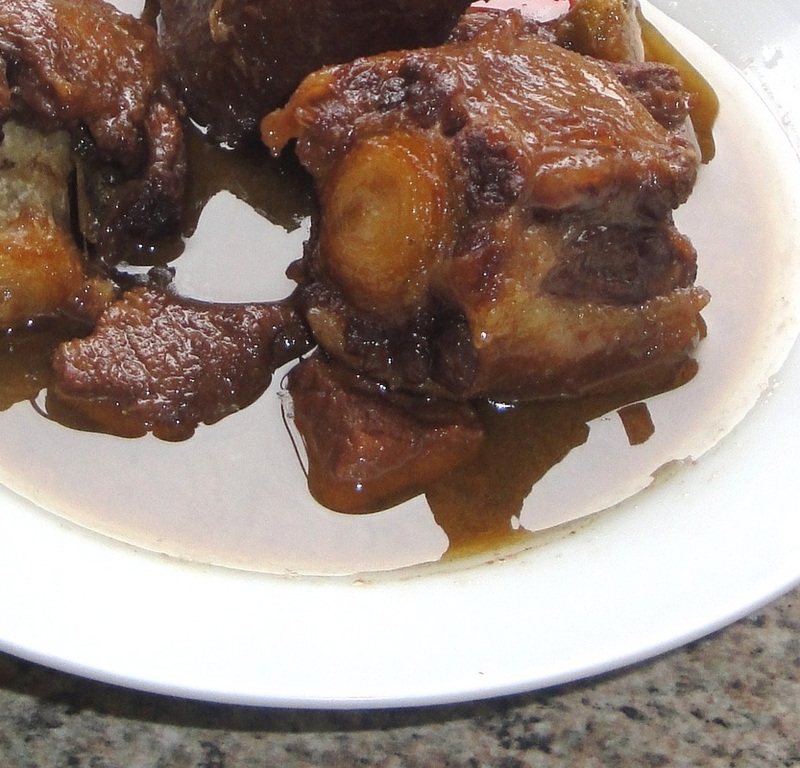 Note# I strongly recommend you buy the largest meatiest oxtails for this recipe. 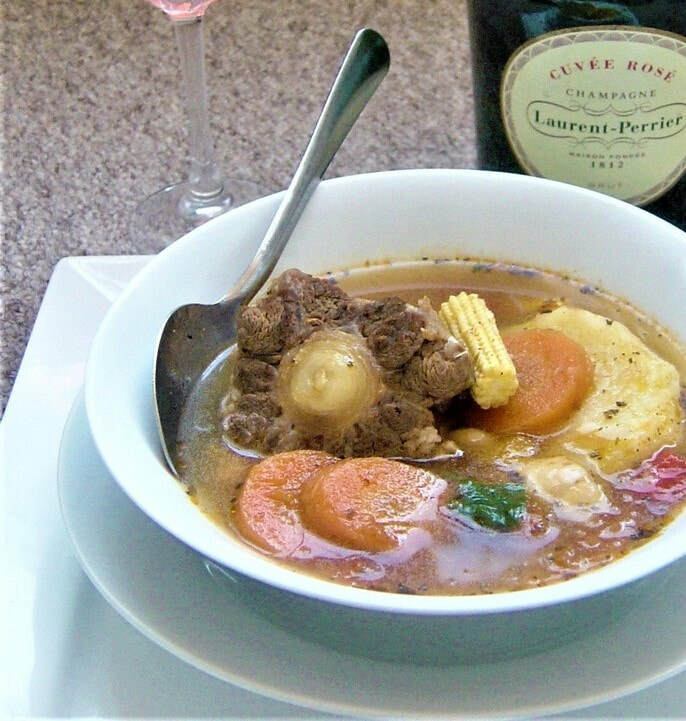 Large Oxtails work much better with this soup. Bring the water or stock to a boil in a large pot. Add the oxtails followed by the onion, celery, carrot, and the remaining ingredients. I suggest adding a teaspoon each of salt and pepper to begin with, and nearer the end of cooking time taste for seasoning and add salt to your taste, only if you think the soup needs more salt. 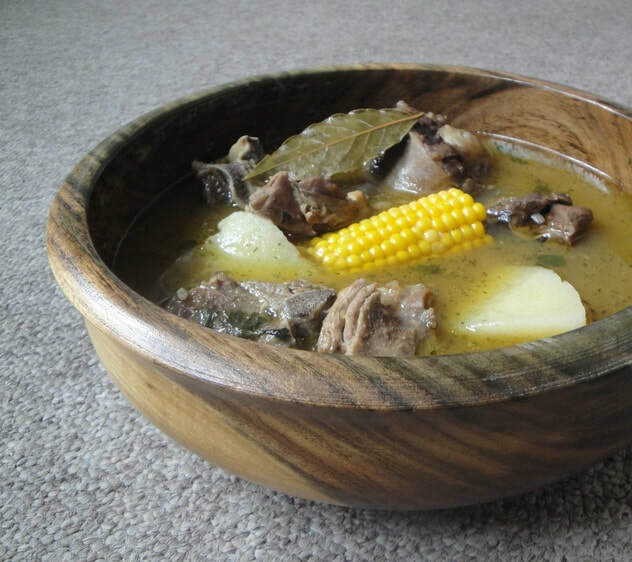 Simmer this soup on medium heat mark 5, after bringing to a boil-for about 2 and a half to three hours, until the oxtails are tender. In the last 25 minutes of cooking time add the potatoes and corn (optional), simmer on mark 5 until the potatoes are soft, but not breaking apart.